EVENTS: Corporate Events, Themed events, Festivals, Fairs, Cruise Ships, Special Events, etc. Relive the excitement of Beatlemania as the Fab Four - John, Paul, George, and Ringo - take to the stage. Enjoy the sights, the sounds, and the magic of the greatest group of all time. 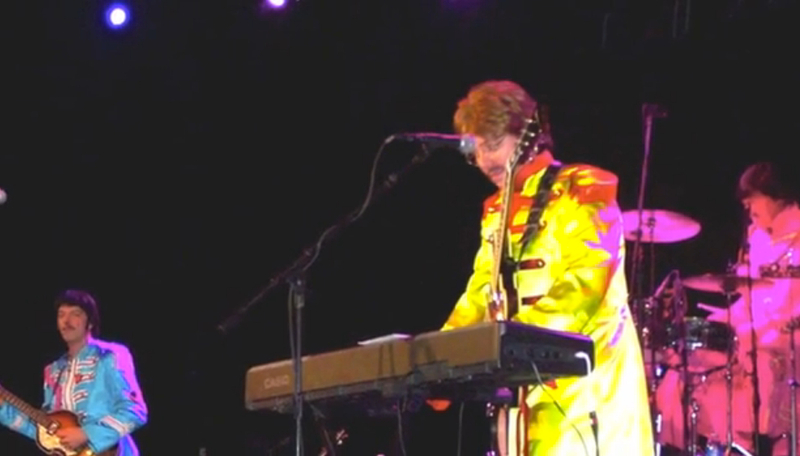 This Beatle's Tribute Stage Show captures the original sounds of the Beatles utilizing multi-media, authentic costumes and musical equipment to recreate the thrill of a live Beatles concert. 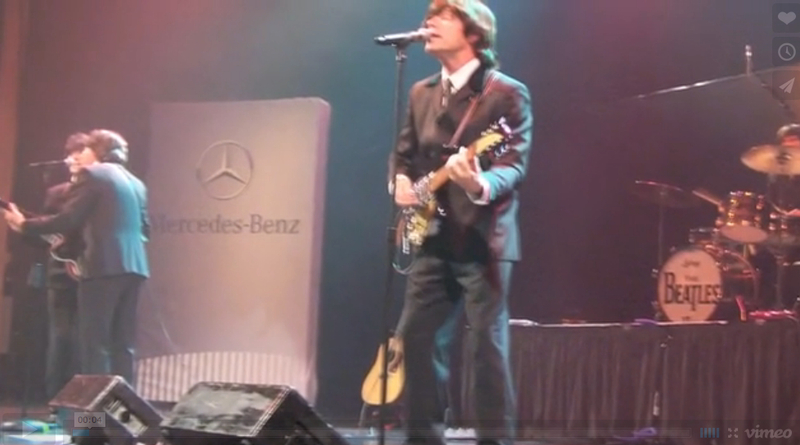 After performing at Walt Disney World's Epcot Center for 14 record-breaking years, This show has completed the longest continuously running Beatle show on record and is now available for your concert or corporate event! For the past 14 years, this production has performed more shows in a month than most Beatle tributes perform in an entire year! In addition to their success at Disney, the show has performed for clients such as State Farm Insurance, the MGM Grand in Las Vegas, and Amway. They have performed in major theatrical venues such as The Arie Crown Theater (Chicago), The Patriot Center (Washington, D.C.), and the Delta Center (Salt Lake City, Utah). The show can be experienced in concert format or the show can be customized to fit your event. The concert experience features three acts. Your entertainment experience opens with the famous 1964 Ed Sullivan Show and features songs from the early Beatles era: I Want to Hold Your Hand, Eight Days a Week, A Hard Day’s Night and Can’t Buy Me Love. 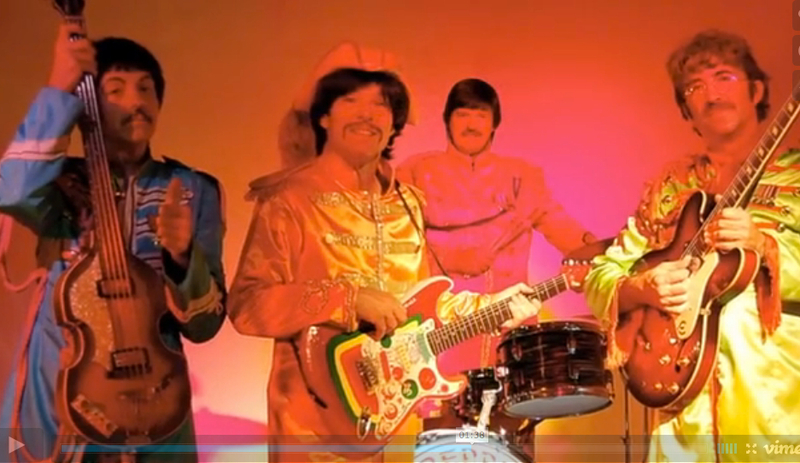 Dressed in the psychedelic costumes of the 1967 Sgt. 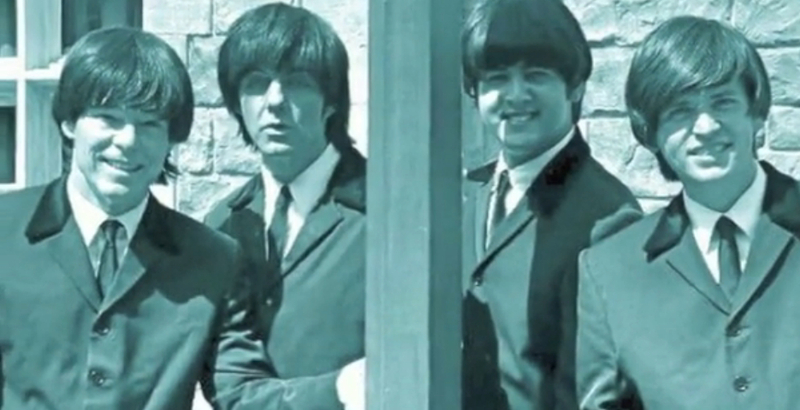 Pepper era, the British Invasion performs such hits as Sgt. Pepper’s Lonely Hearts Club Band, When I’m Sixty-Four, and Penny Lane. 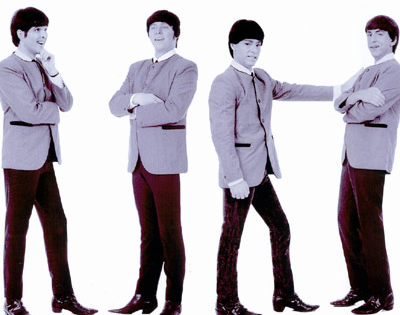 The latter phase of the Beatles career features performances of the all-time classics Let It Be, Hey Jude, and Get Back. 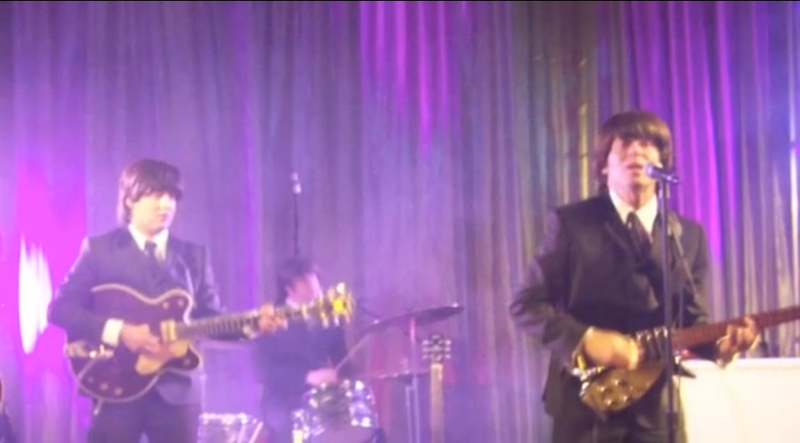 The show uses multi-media, authentic costumes, and musical gear to recreate the thrill of a live Beatles concert. Let us show you what millions of guests have already discovered. Enjoy the sights, the sounds and the magic of the greatest group of all time! 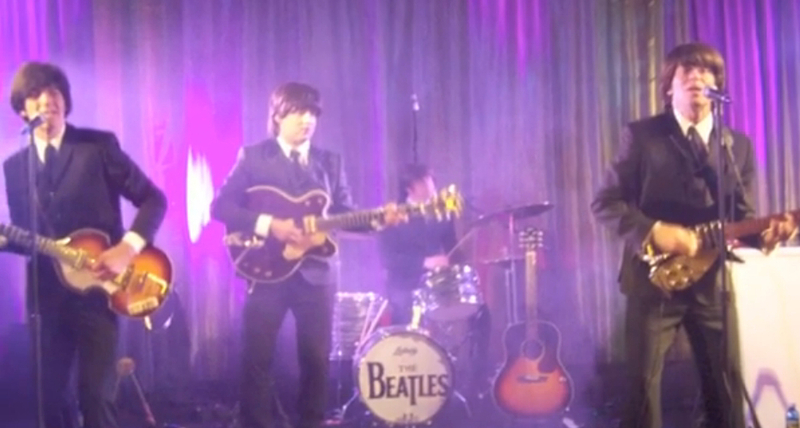 Beatles Tribute from Talent Screening Room on Vimeo.